For information about how to run an elected office in Cutler Bay, contact the Town Clerk at townclerk@cutlerbay-fl.gov. Elections - For information on county elections, visit miamidade.gov/elections. Election Calendar – Find out dates of upcoming elections, registration deadlines and candidate qualifying dates. Early Voting – Registered voters may vote at any of the 30 voting sites located throughout Miami-Dade County. 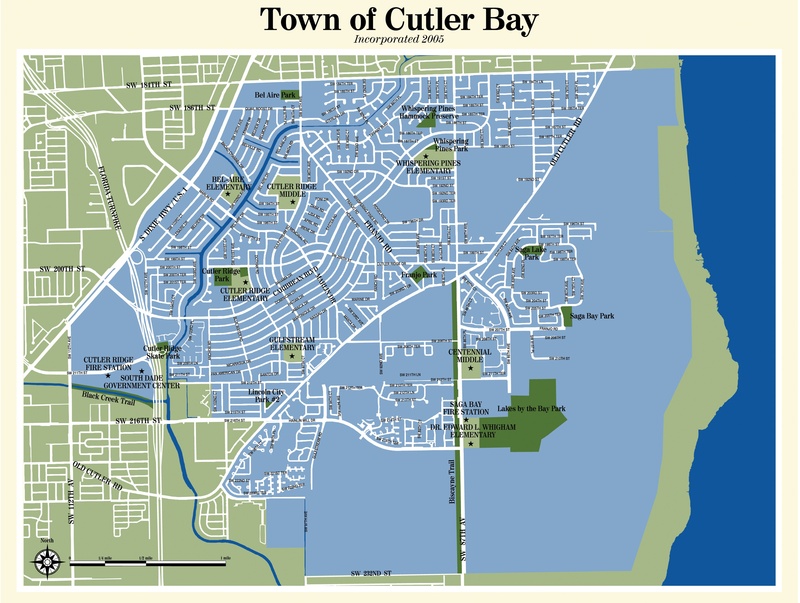 The closest Cutler Bay site is the South Dade Regional Library, located at 10750 SW 211th Street. Absentee Ballots (Vote By Mail) –For information about Absentee Ballots, visit. Ballot Information – Sample ballots are now available on-line. Residents are encouraged to print and review their sample ballot and make their selections prior to going to the polls. To view a customized ballot, find your voting site, request an absentee ballot, or review or update your registration information, visit electionsfl.gov. Election Results – Find out the results of recent elections and view election archives.